Q. Where can I find a history of the Doheny Library? 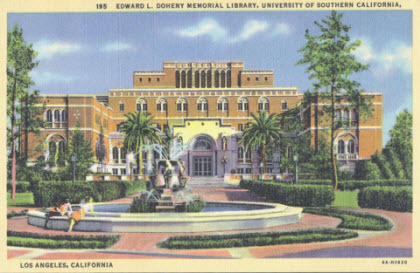 When was the Doheny Library built? What is the architectural style of the Doheny Library?